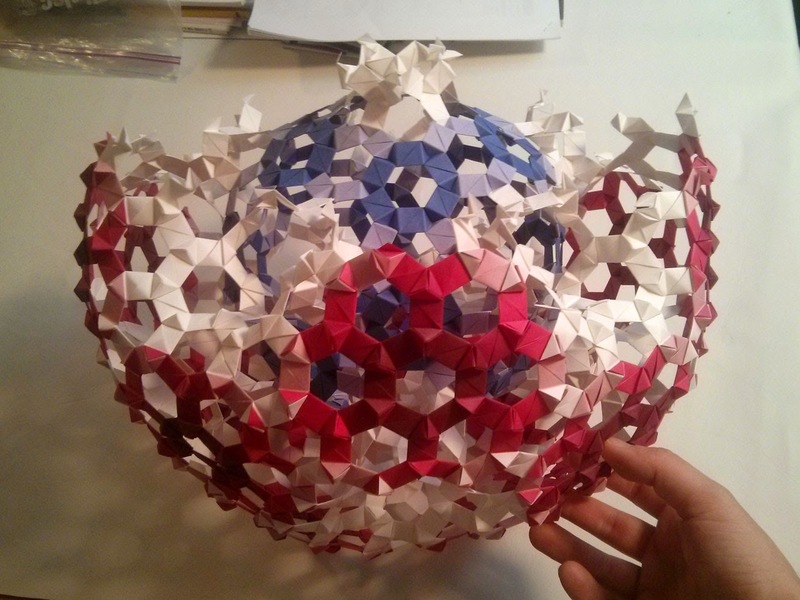 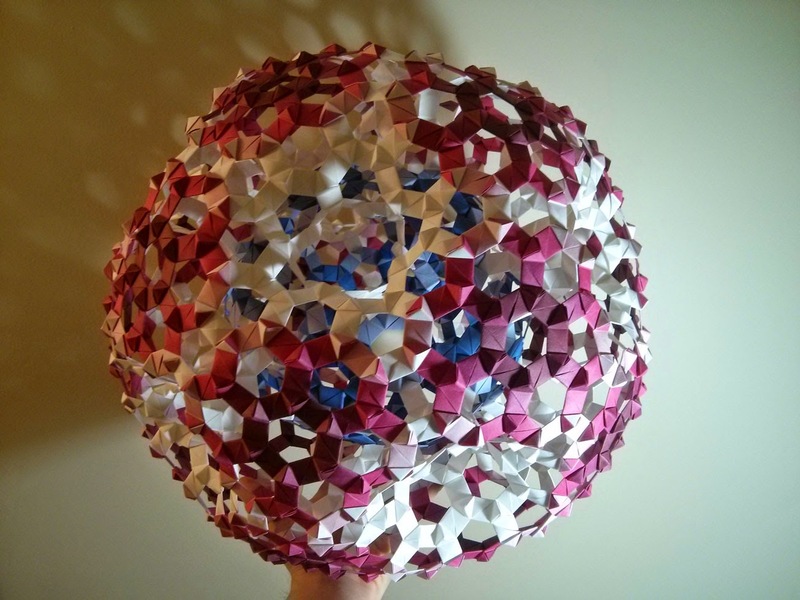 A high genus fullerene in modular origami. 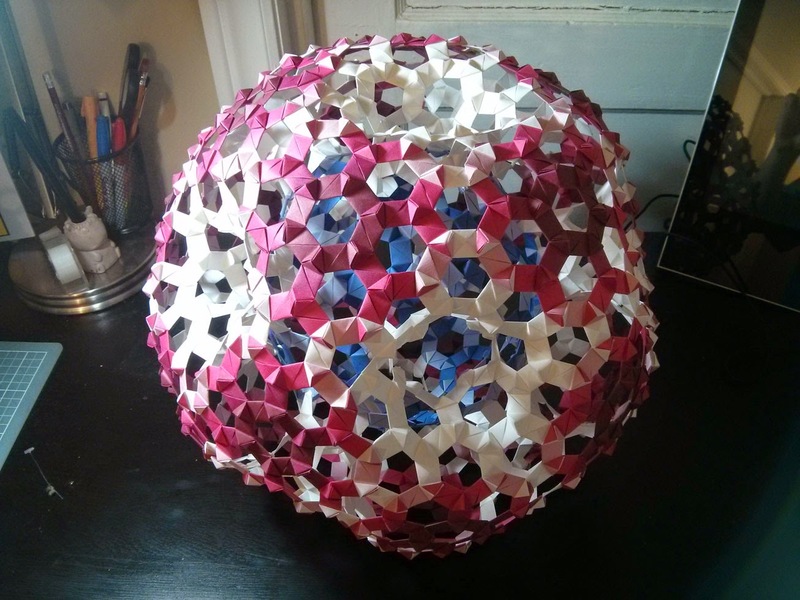 Sort of the older brother of the traditional buckyball. 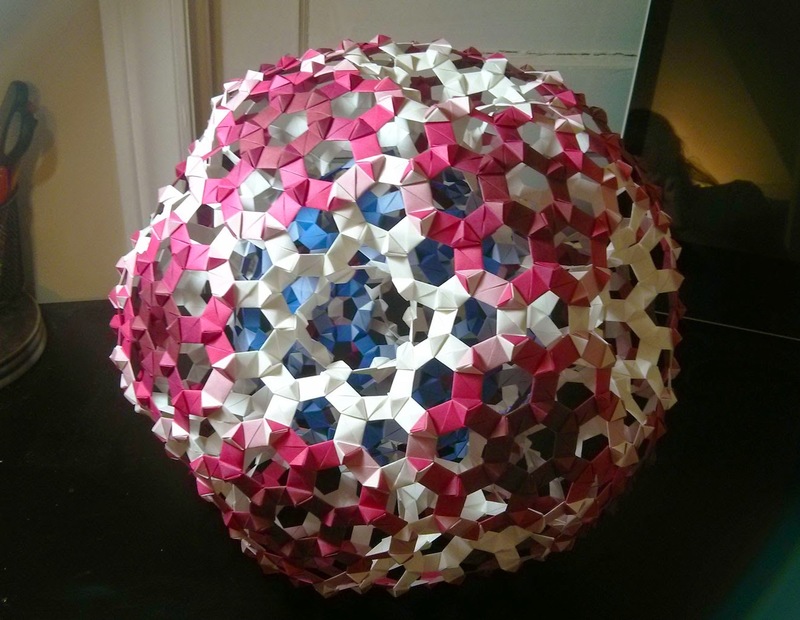 Designed and folded by HB (me). 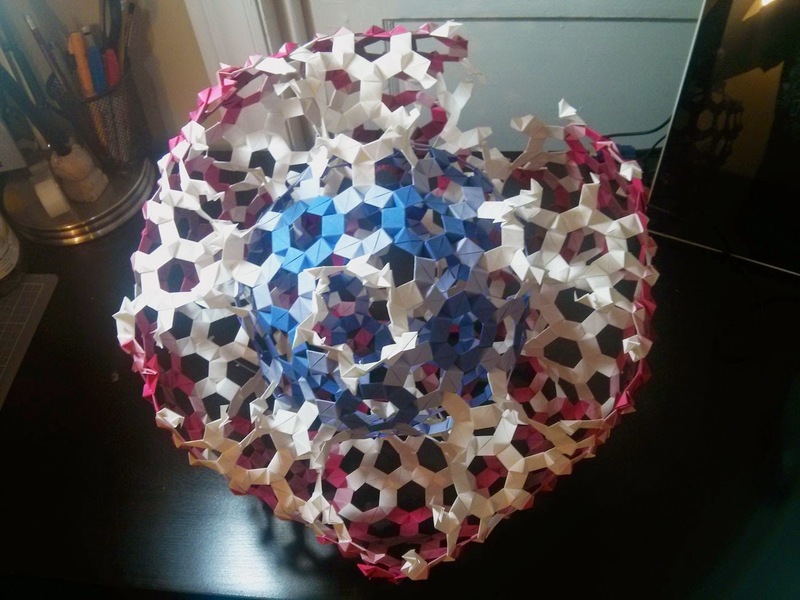 Many thanks for The Beaded Molecules for a lot of the inspiration!